The Staff Cooperative Investment and Credit Society (CICS) Limited of the institute which was formed on 1 February 2004 to create wealth and empower its members marked its 10th year anniversary and also had its Annual General Meeting on 26 May at the Conference Center in Ibadan. The event also provided a platform to review the achievements of the society in the previous year. Since the formation of the society, it has been observed that membership has increased yearly. Today, membership is currently at 956 from 612 in 2012, representing a 56% increase. According to the report of the President of the society, Ali Adeleke, the increment in membership has also led to an over 70% increase in the capital base of the society from N10.5 million in 2004 to a laudable sum of N310 million ($1.94), while the “Excess of income over expenditure” rose to N30 million ($187,500) in only about 10 years. Speaking at the opening, Adeleke welcomed all cooperative members while affirming that the vision of establishing the society is still alive. “This society has brought about a positive change in the socioeconomic development of its members and has projected the image of IITA to the public. 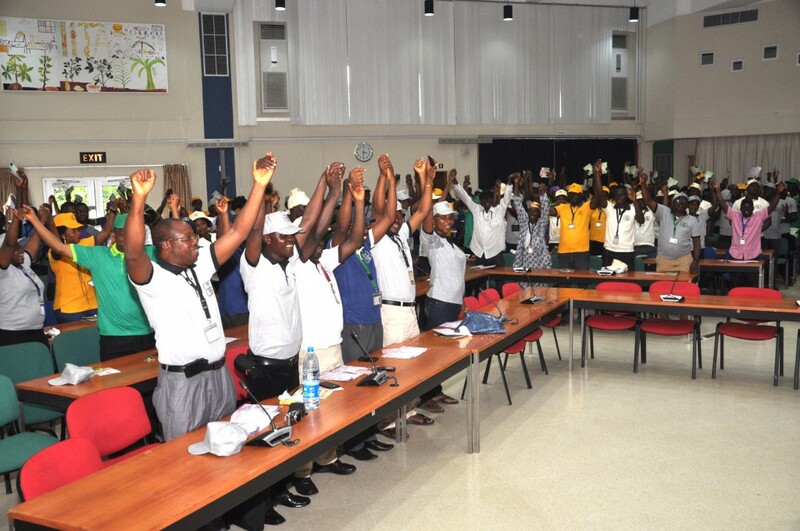 We will continue to train and retrain our members through seminars and workshops to better their lot’’ he said. This year’s celebration was attended by officers from the Ministry of Cooperatives and Commerce and OSCOFED who advised members to use the cooperative as a springboard for retirement, while enjoining the management to ensure a control mechanism was put in place to secure the interests of its members.